Saturday, I literally spent the entire day in the kitchen. Wearing PJ pants, barefoot, getting flour all over the place. I love this kind of Saturday! 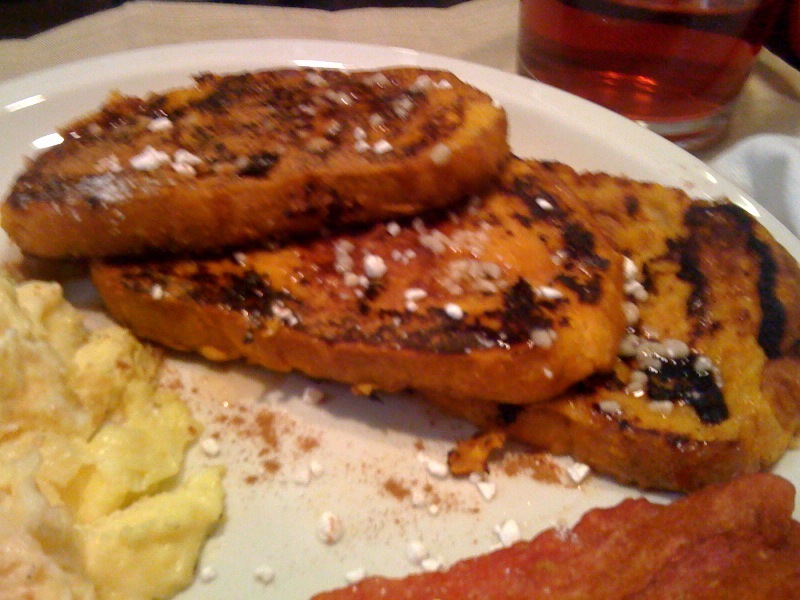 We slept in then ate a really filling LATE "breakfast," which included pumpkin french toast! I had a half of a cup of pumpkin puree that needed to be used up, and I found this recipe when I googled "1/2 cup pumpkin puree." So glad I did. In a large bowl, whisk together eggs, pumpkin puree, milk, vanilla, pumpkin pie spice until smooth. Pour into a shallow dish. Preheat griddle over medium-high heat. Lightly grease. Soak each slice of bread in the egg mixture, turning once to coat evenly. Cook french toast on preheated griddle until it is cooked through. Dust plate with ground cinnamon or additional pumpkin pie spice (I always have to add powdered sugar too). Serve with mayple syrup. This recipe claims it makes enough for 2 servings of 2 slices each. I still have egg mixture left, so I think it could easily coat 8 pieces of bread! 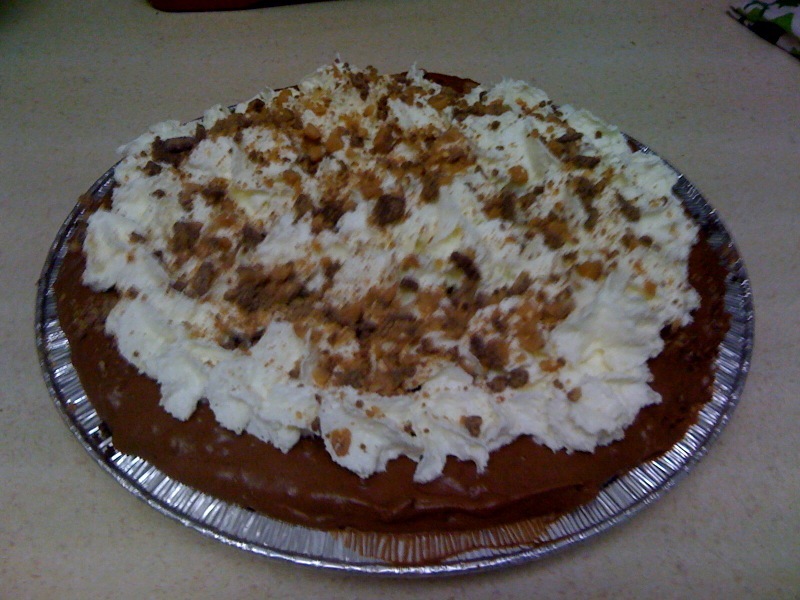 And a chocolate, marshmallow, toffee pie. My first time making that. It was some rich, chocolatey goooooodnesssss!!!! Definitely need to make that again! Yum-OOOOO. The whole point of this day-in-the-kitchen was to bless the socks off of my friends Gretchen and Jason who just brought THIS LITTLE DARLING BABY GIRL into the world!!!!!!!!!!!!!! As you can see, I was slightly excited to meet her!! Baby Bettis is soooooo cute and sweet. I could just eat her up! I don't know why we say that about adorable babies, because obviously, no one actually eats babies up (I hope!) 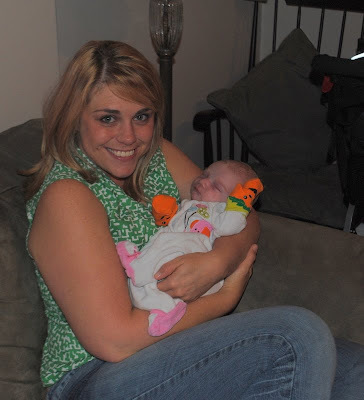 but seriously.... her tiny newbornness made me GUSH. And pumpkin hands! Really? Swoon. Isn't it such a special thing when one of your best friends has a baby? You immediately love the child. So awesome. What a miracle, every time! I know I have said this before. But where were these great cooking inspirations when we were roommates??? I think you only made meatballs in the crockpot. ha ha ha! Your posts always make my mouth water! How on earth you do all this with the job you have - girl, you make the Energizer Bunny look like a couch potato! 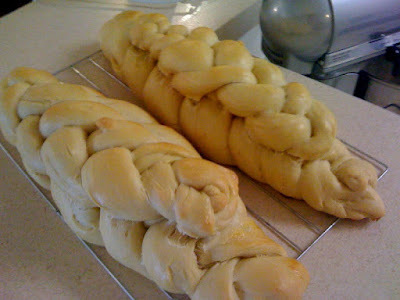 Gorgeous Challah bread! You're my hero! And that pie . . . care to share the recipe?? ?